Kazkiri German Shepherd Dogs is situated in the picturesque village of Elphinstone, Central Victoria, in the vicinity of the Coliban Falls. Our love affair with the German Shepherd Dog breed began in 1992 when *Tairnbacher Quini" - Kaz- joined our family. For 12 years Kazzie ruled our home and all around her and to this day she is never far from our minds & hearts. In 1996 we were extremely fortunate to have *Hilltop Maddii come live with us. Maddii is Jannire Black Betty's great grandmother & the matriarch of our current crop of youngsters. We will be forever grateful to Hilltop Kennels firstly for breeding Maddii & secondly for allowing the beautiful Maddii to become a member of the Kazkiri family. 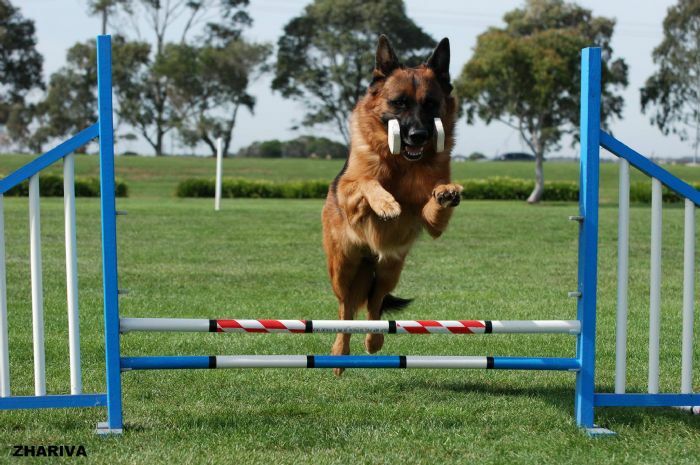 Our aim is to breed beautiful, healthy German Shepherds from the best available bloodlines in Australia. We take pride in our German Shepherds and always strive for the correct balance of Temperament, Soundness and Construction. Our German Shepherds are much loved and valued companions. We are conscientious breeders who are members of Dogs Victoria. 2007 Kazkiri achieved the German Shepherd Dog Council of Australia Bronze Medal for successfully presenting 20 animals to the Hip Dysplasia Scheme and are well on our way to gain a Silver Medal. 2008 Jannire Black Betty was awarded 2nd IB at the GSDCA National. 2011 saw Kazkiri take out 1st Place BPD with Kazkiri Kreuzer & 1st Place ID with Kazkiri Xavi at the GSDCA National. What a wonderful achievement for a very small Kennel such as ours. 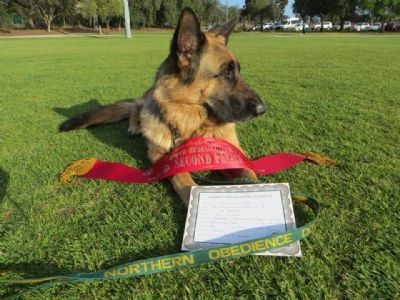 2012 History was made when Kazkiri Ximon was the first Long Stock Coat German Shepherd Dog to be Breed Surveyed in Australia. In 2012 we were awarded the Bronze Medallion for successfully presenting 22 animals to the Elbow Dysplasia Scheme. 2013 our magnificent Long Stock Coat Kazkiri Ximon, K. Xavi's litter brother, wins the Silver Medal at the GSDCA National. Jannire Black Betty produced the Gold Medalist at the 2012 National - *Kazkiri Xavi and also produced the LSC Silver Medalist at the 2013 National - *Kazkiri Ximon. *Kazkiri Xavi, *Kazkiri Ximon, Kazkiri Xiva, Kazkiri Kreuzer,*Kazkiri Kumani, Kazkiri Voltron, Kazkiri Vykin, Kazkiri Voltar, Kazkiri Deep Purple. In 2014 Kazkiri qualified for the German Shepherd Dog Council of Australia Silver Medal for for successfully presenting 28 animals to the Hip Dysplasia Control Scheme and the Silver Medal for successfully presenting 29 GSDs to the Elbow Dysplasia Control Scheme. Thank you to all the owners of Kazkiri GSDs who have had their dogs presented to the GSDCA Schemes & helped us reach these goals. We bred our last litter in June 2015 and have now retired from breeding. However keep your eyes out for future litters from Kazkiri Bohemian Rhapsody (Siobahn GSDs) & sometimes Seigen Kennels has puppies from the Kazkiri Suri line.